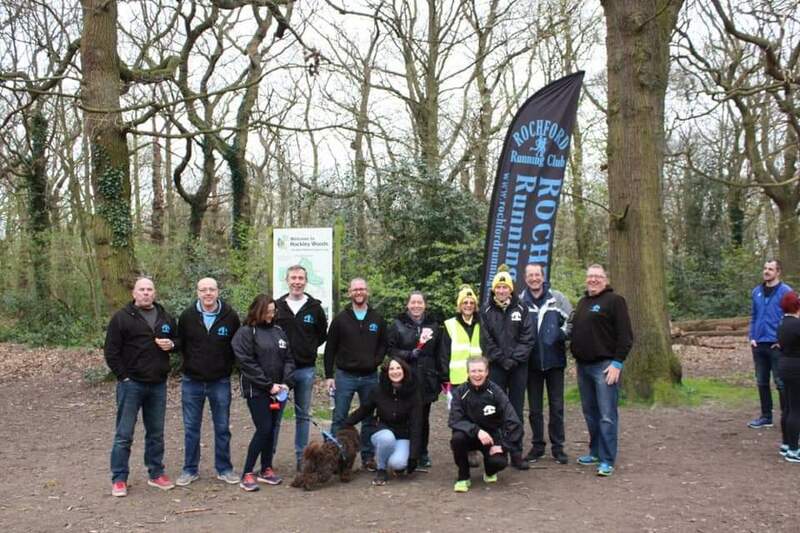 Saturday 6th April saw the members of Rochford Running Club give up their trainers for hi vis jackets as they became volunteer marshals for Hockley Woods Parkrun. 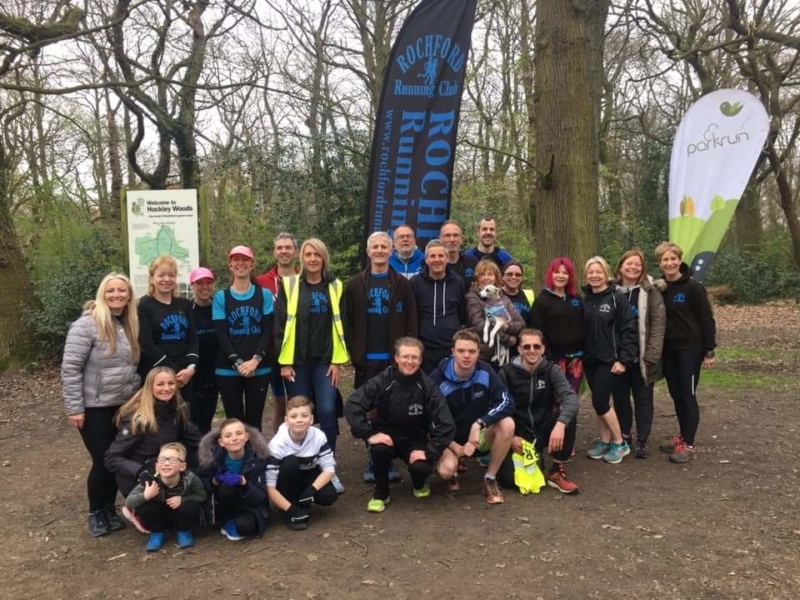 This year more than 30 RRC members supported their local parkrun by helping to set up, time keep, give out and scan the finish tokens, funnel manage and of course marshal the key points across the course all with big smiles and some even with clackers to give that extra encouragement ! Runners always make the best marshals and we all know exactly what every runner on the course was feeling! This year we added a fun extra bonus of providing the public runners with the option to tag along with one of our own RRC “Pacers”. 11 club members ran with vests with printed expected paced finish times on the back varying from 20 minutes to 36 minutes. This proved harder than it sounds, especially with the added complication of being sheltered from GPS at times from the trees making it difficult for each runner’s watch to indicate an accurate and live pace to keep an eye on. Some of the pacers did extremely well, finishing within only a few seconds of their target, whereas a couple may have lost the plot slightly and had even overtaken the pacer a minute in front of them. We hope that you enjoyed running along with them to add an extra twist in to your usual Saturday parkrun. There was some great feedback from the runners; “great marshals and nice to see so many smiling faces along the course”!